VICTORIA, AUSTRALIA--(Marketwired - Nov 13, 2013) - October 29th, 2013 marked a hundred days to go until the XXII Winter Olympic Games, to be held in Russian Federation's city of Sochi. Various activities throughout Russia celebrated the symbolic date, including the installation of Olympic Ring Spectaculars in Sochi, Ryazan, New Urengoy, and Kaluga as well as the Sochi 2014 Olympic Torch Relay celebration in Kaliningrad. As part of the festivities, the official Sochi 2014 uniform for volunteers and staff, provided by BOSCO, was also unveiled set to be worn by over 40,000 Sochi 2014 Organizing Committee employees and volunteers. Similarly to the London 2012 Olympic Games, Sochi staff and volunteers will wear the same uniform symbolically signifying that they form one team delivering the Games. The use of a unique uniform during the Games underlines the important role of volunteers, who will make up a significant part of the entire Games workforce. The vibrant outfit's main design element is Sochi 2014's «patchwork quilt», which represents the different regions of Russia. The core uniform set consists of more than ten items including an insulated jacket, a sweatshirt, a polo shirt, trousers, a hat, gloves, shoes, and a number of accessories. Events in 15 disciplines of 7 winter sports will be held at the Russia's 2014 Olympic Games including ice hockey, curling, luge, speed skating and freestyle skiing. The newly constructed Rosa Khutor Extreme Park venue situated on Krasnaya Polyana will hold the Mountain Cluster's snowboarding and freestyle skiing events. Many freestyle skiing athletes are set to compete for the 2014 Olympic medal with the men's moguls scheduled for February 10th, 2014. The youngest freestyle mogul skier in history to win Olympic gold medal is Dale Begg-Smith who has cemented his title as the greatest mogul skier of all time through his legendary sporting abilities. He holds the record for the most consecutive World Cup finals in events he has entered, qualifying for 60 consecutive finals, which surpasses all of his peers. Dale also set the record for the only freestyle athlete to medal at all four major events entered, due to his Olympic medals and World Championship podiums, in addition to his four World Cup season victories over five seasons. It is with all these records and victories that have catapulted Dale Begg-Smith to legendary status, not just in Australia but throughout the world. Beyond his athletic success, Dale Begg-Smith is an avid philanthropist donating to many causes and charities over the years. Following the 2010 Haiti earthquake, Begg-Smith donated his prize money -- reported to be around $13,670 -- to earthquake relief efforts in Haiti. He enjoys fishing with his brother Jason Begg-Smith, having won fishing competitions together. Jason has the Caribbean record for largest swordfish ever caught at 396 lbs. 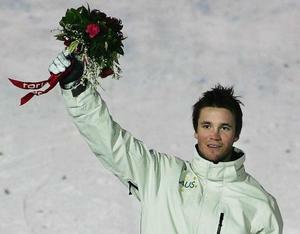 Following Dale's Olympic Gold win in the 2006, where both brothers competed, Jason Begg-Smith retired from the sport while Dale went on to win Olympic Silver at the 2010 Vancouver Winter Olympics. He is one of only five Australians to win a gold medal in the Winter Games alongside Olympians Lydia Lassila, Steven Bradbury, Torah Bright, and Alisa Camplin.